Researchers at MIT have developed deep-learning algorithm that can compile a list of ingredients and even recommend recipes after looking at photos of food. The artificially intelligent system still needs some fine tuning, but this tool could eventually help us learn to cook, count calories, and track our eating habits. 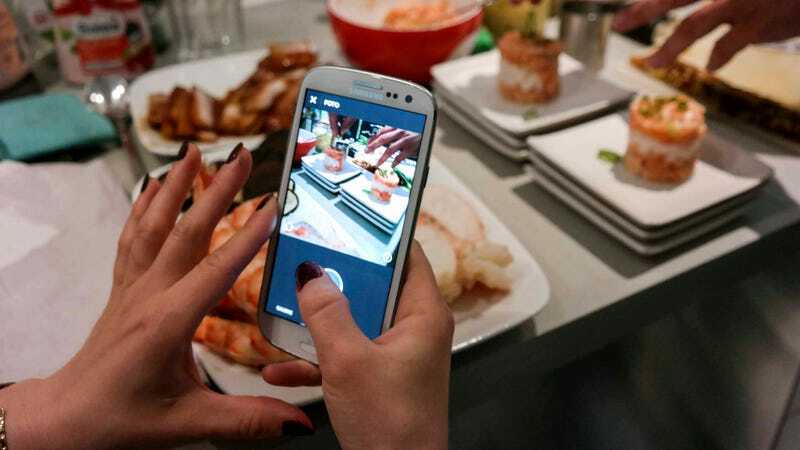 Imagine being able to snap a picture of a meal you’re devouring at your favorite restaurant, and having a smartphone app provide you with the list of ingredients, and even a recipe to help you make it at home. Researchers from MIT’s Computer Science and Artificial Intelligence Laboratory (CSAIL) have taken us one step closer to this goal by beginning to train a system to do exactly that. Using machine learning, the program analyzes still images of food, and by referencing a massive database, it then predicts a list of ingredients and recommends a recipe. In tests, the system was able to retrieve the correct recipe around 65 percent of the time. That’s a fairly decent success rate, especially considering how complicated and varied some meals can get. To make it work, a research team led by CSAIL graduate student Nicholas Hynes collected data from websites like All Recipes and Food.com to create a database, called Recipe1M, containing over a million recipes. All the recipes were annotated with information about the ingredients found in a wide variety of meals. A neural network was set loose on this trove of data, seeking out patterns and connections between images of food and the matching ingredients and recipes. So when given a photo of a muffin, for instance, the system, dubbed Pic2Recipe, could correctly identify ingredients like flour, eggs, and butter. It then suggests several recipes from within the Recipe1M database that it figures is the closest match. As Hynes told Gizmodo, the system is more than just a food recognition program. Hynes says the system, in its current form, isn’t designed to predict ingredients directly. The system performed well with relatively simple foods, such as cookies or muffins. But when confronted with more complex and ambiguous foods, such as sushi rolls or smoothies, the system struggled. It also had a hard time parsing foods for which there are a near endless supply of recipes. Lasagna is a great example. There are like, a gajillion ways to make a lasagna, so the CSAIL researchers had to make sure the AI wouldn’t “penalize” or exclude recipes that were similar when trying to parse one lasagna from another. A work-around was to get the AI to see if the ingredients in each recipe were generally similar before comparing the recipes themselves. Looking ahead, the researchers are hoping to train the system such that it can better understand how food is prepared (e.g. boiling, frying, slicing, dicing), and to tell the differences between food types (e.g. mushrooms and onions). They’re also hoping to turn the system into a “dinner aide,” where a person can key in their dietary preferences and a list of food items available in the home, and AI devises a meal based around those constraints. Conceptually, the system should also be able to perform a calorie account, and indeed, Hynes is currently looking into this. It’ll be a while before you see an app like this on your smartphone, but even when it does appear, a system like this will forever serve as a rough guide. Just because you know the ingredients of a meal and how it might have been put together doesn’t suddenly mean you’re a master chef. The CSAIL team plans to present its findings later this month at the Computer Vision and Pattern Recognition conference in Honolulu.